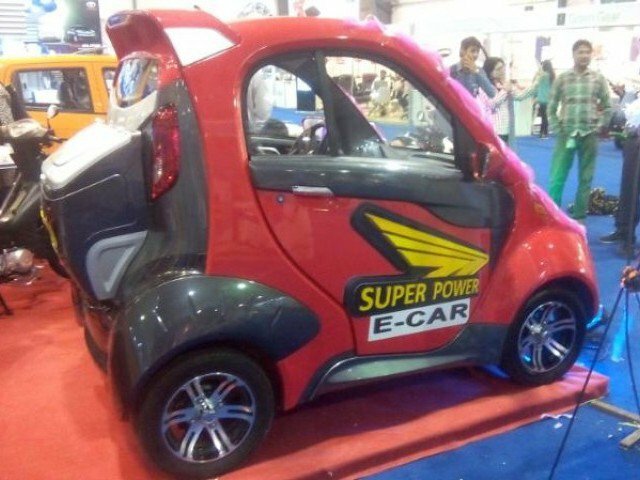 Back in May last year, I posted an article which discussed the possibility of a wider EV (Electric Vehicle) acceptance in Pakistan. The eventual release of Tesla Model 3, an affordable electric car with a claimed 215 miles of range and a price tag of under PKR 4 million might make sense for our country. 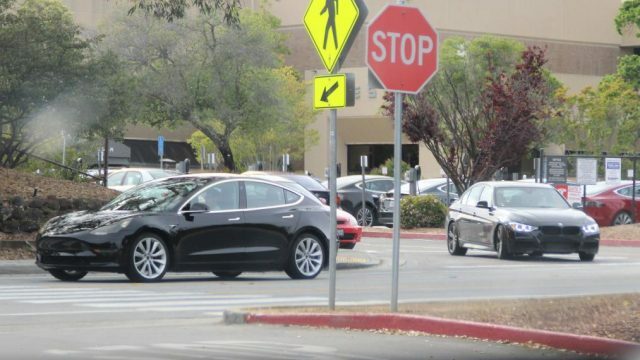 While there was a follow up to Model 3’s beta reveal, where Tesla confirmed its design, USPs (Unique-Selling-Points) and release date of their most affordable electric car in addition to opening doors for pre-orders. This article further discusses the pre-release reception of Model 3 among the global population and what lies ahead in its path to EV dominance. 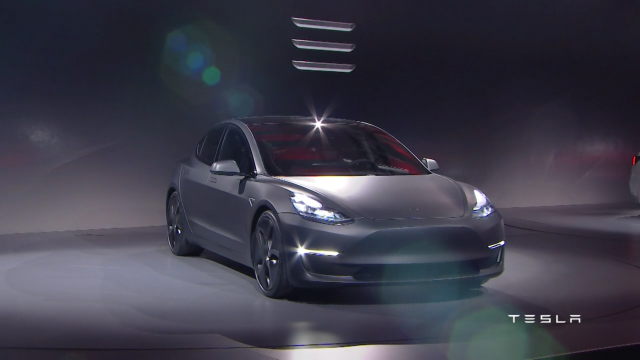 So far Tesla has successfully managed to secure over half a million orders for the Model 3 and is now inching closer to reveal the production-spec variant of their much-anticipated entry-level offering. 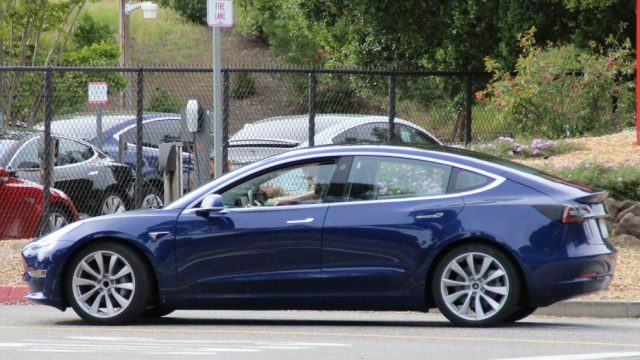 However, before they officially make headlines, here is our first close look at the near-production version of Model 3 courtesy of images released by Jalopnik. The leaked images pit Model 3 aside from its most legible gasoline rival, BMW 3 series. 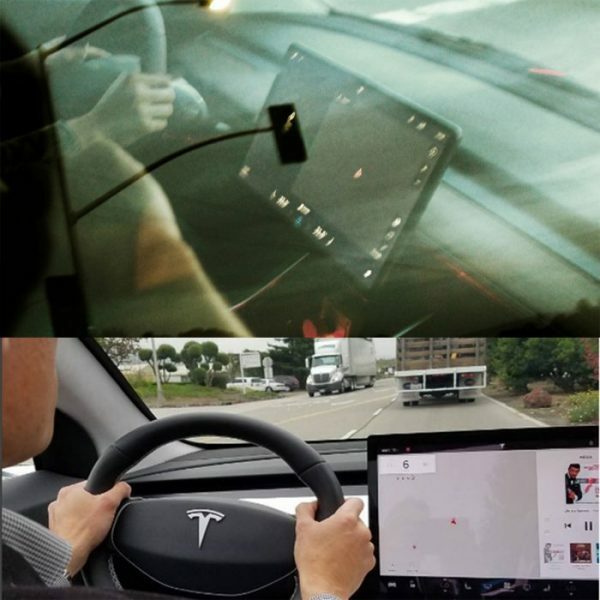 This revelation further confirms the design decisions of Tesla Motors including but not limited to a larger trunk opening, which was initially criticized at beta reveal and the absence of a heads-up information cluster in the cockpit of the car. While further enhancements to Model 3’s seemingly sparse interior were anticipated at its launch by analysts. 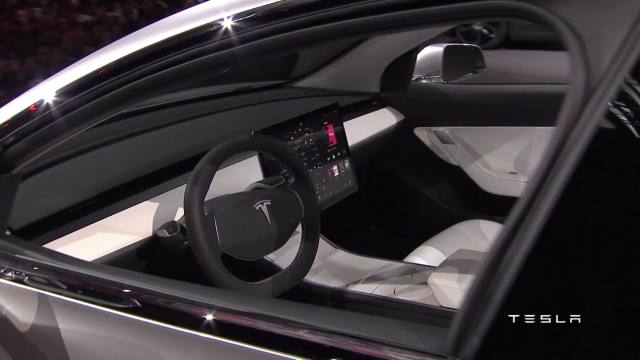 Elon Musk recently confirmed through a tweet that the major highlight for Model 3’s interior would just be a single widescreen touch display which has been a subject of criticism since the beta-reveal of Model 3, last year. Musk defends Tesla’ seemingly polarizing decision of omitting a heads-up display from the cockpit of the car by saying that it would not be required by a large majority of customers as autonomous driving embeds into our daily lives. What’s your take: Is it minimal or disturbingly sparse? Speaking of which, Tesla continues to verify that even the base trim of Model 3 would come equipped with full self-driving gear and would be good to drive itself on the road following the maturity of the on-board software and pending regulatory approvals. 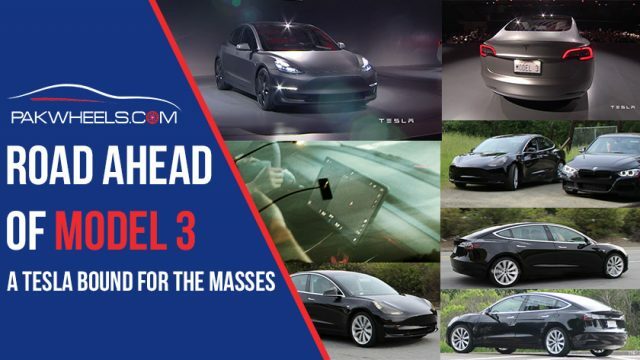 The confusion regarding Model 3′ position as the third Tesla “flagship” or a third model offering was clarified by the CEO of Tesla Motors himself through a series of tweets. 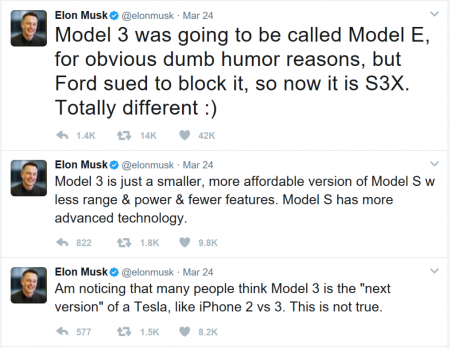 In those tweets, Elon Musk clarified that Model 3 was originally intended to be named as Model E in a bid to have their models lined-up as well you know for “obvious dumb humor reasons.” However, that fantasy remains unattained as Ford registered Model E as their trademark which leads Tesla to brand their third car as Model 3, turning the actual line-up into S3X. 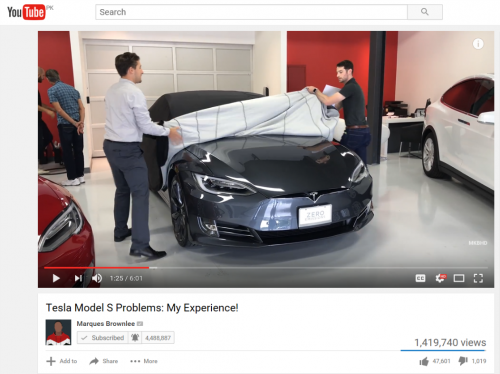 Yesterday, Tesla sent out the word to their followers and customers through an ‘official’ newsletter that linked back to a statement made by the brand; highlighting that Model 3 will not serve as a substitute for Model S.
Tesla plans on starting the production of Model 3 later this year with the first of over half a million pre-orders scheduled for delivery in the last quarter of 2017. 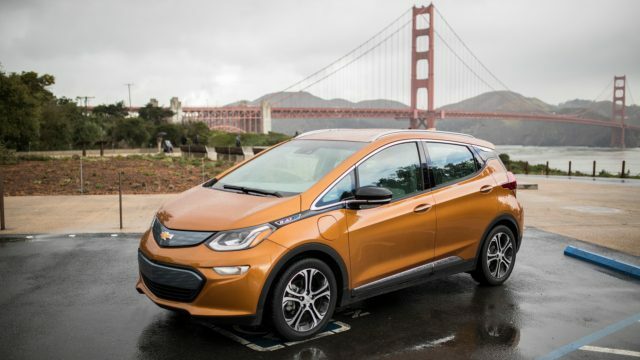 On the road ahead, the only direct competitor of Tesla Model 3 would be the Chevrolet Bolt. However, electric cars, continue to gain momentum and penetrate into emerging buyer segments, more options from ‘more established’ rival automakers would sure come into play in the near future. Perhaps the biggest challenge that lies ahead of Tesla is not the competition but instead is a compound of quality issues, availability of after sales service and the availability of Model 3 itself. As pointed out by many, Tesla in spite of being respectably ranked in consumer satisfaction surveys, suffers from production delays and quality issues on a regular basis. And while these issues may not hold much value for someone who does not use a Tesla as their daily driver, lack of quality and timely servicing may turn into an image destroyer for Tesla as they gear up to take on cars which a common man uses for his daily commute. In order to address the needs of a common buyer who is immune to some of the most reliable cars on the market would require Tesla to amplify their quality assurance and improve their servicing infrastructure. Ever so more importantly, Tesla needs to tap into emerging markets where Model 3 would serve as a more compelling option, for them to fully exploit the benefits of launching a more affordable electric car. Tesla has, in fact, made significant strides in this respect, most notable of which is their eventual launch in India expected to take place in and around 2018. 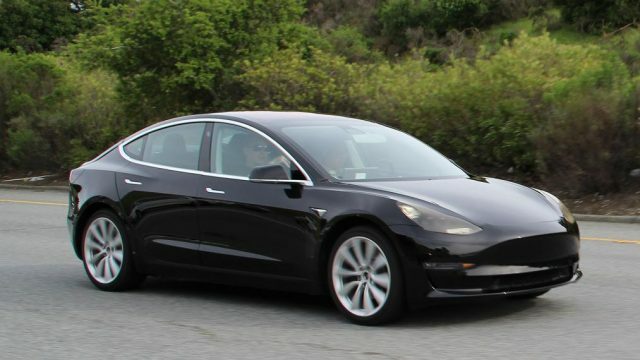 While Model 3’s availability in Pakistan is far from materializing into reality, the leaked images of Model 3 partly confirm its readiness for production and show how Tesla Model 3 might, in the end, serve as a compelling upgrade/replacement in spite of carrying a mix of hits and misses, and being a product of courageous and polarizing decisions. 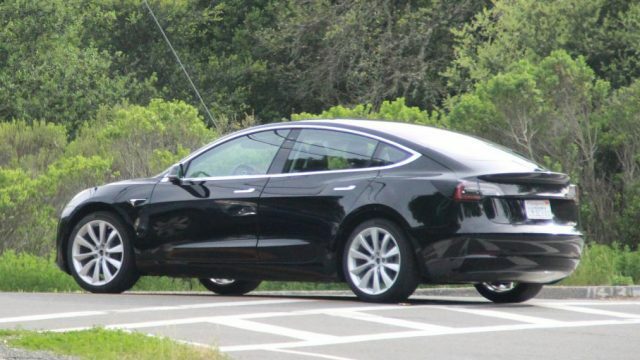 Whatever the case might be, Tesla Model 3 would most definitely be recalled by many in the future as a milestone in the history of automobiles. Also, just a reminder: Model 3 will not serve as Tesla’s flagship, no it won’t.